CHICAGO (October 28, 2015) – 1871 joined Google for Entrepreneurs (GFE) today to announce the launch of the first annual Google for Entrepreneurs Vertical Summit, a new initiative from the GFE North American Tech Hub Network to convene tech hubs and startups for an industry-specific conference. 1871 is hosting the inaugural summit with a focus on travel, tourism and hospitality on October 27 and 28. The summit is sponsored by Sabre Corp. The two-day GFE Travel Vertical Summit at 1871 brings all GFE tech hubs and their travel-focused member companies to Chicago to discuss developments and trends in the travel, tourism, and hospitality markets. Summit attendees have the opportunity to network with industry leaders and learn about a vast array of industry topics including travel trends, best practices, and new products and services. 1871 is also hosting a separate meeting of the leadership of all the Google For Entrepreneurs technology hubs in conjunction with this summit. Google for Entrepreneurs enables tech hubs by providing them with technical content, business tools, and infrastructure upgrades so that they can support increasing demand from developers and startups. In addition to 1871 in Chicago, GFE tech hubs are located in Minneapolis, Waterloo, Nashville, Durham, Denver, Detroit, Montreal, San Francisco, and Austin. In addition to the programming, events, and support that Google for Entrepreneurs provides to each of its North American Tech Hubs, GFE provides a number of special opportunities to startups within the hubs. Each year, startups are selected directly from the hubs to pitch their companies to an audience of Silicon Valley investors as part of the Google Demo Day. Members also have the opportunity to participate in the GFE Blackbox Connect programs that occur throughout the year. GFE has also partnered with CODE2040 to pilot an Entrepreneur in Residence program fostering diversity in the technology community at several of the North American tech hubs, including 1871. 1871 is the home of more than 325 early-stage, high-growth digital startups. Located in The Merchandise Mart, this 75,000 square foot facility is also the headquarters of nationally recognized accelerators, Techstars Chicago and Impact Engine; half a dozen industry-specific incubators in key areas such as real estate, education technology, food and financial technology; several emerging tech talent schools (Flatiron, The Fullbridge Program, Designation and the Startup Institute), and the state's leading technology advocate, the Illinois Science and Technology Coalition. It is the second home to Chicago-based VCs, Pritzker Group Venture Capital, MATH Venture Partners, Hyde Park Angels, OCA Ventures, OurCrowd and Chicago Ventures, as well as satellite offices for Northwestern University, University of Illinois, University of Chicago, Loyola University Chicago, Illinois Institute of Technology, and DeVry. 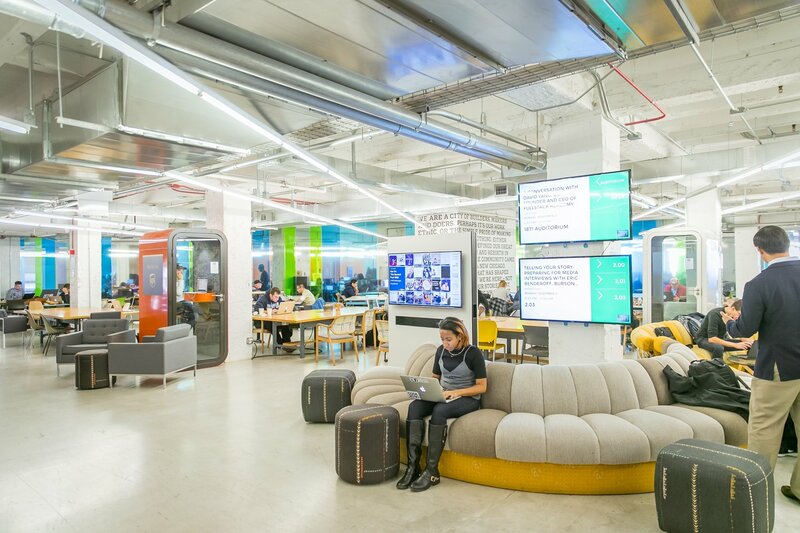 1871 has fast become recognized as the hub for the city’s entrepreneurial/technology ecosystem and has been featured in Inc. Magazine, TechCrunch, The Wall Street Journal, The New York Times, Chicago Tribune and Crain’s Chicago Business among other top media. 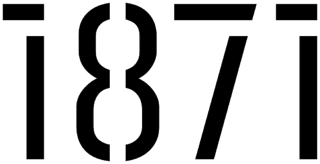 1871 is the flagship project of the Chicagoland Entrepreneurial Center.